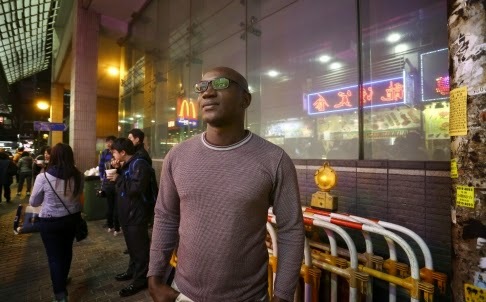 "Kenyan PhD student in Hong Kong helps poor kids learn back home"
As a poor village boy in western Kenya, Erick Komolo walked 10km a day to and from primary school. By the end of his final term his toenails were so worn down from the daily trek that they have never grown back, he says. But it was all worthwhile. "I'm better-off by far than anyone else in my village," he says, referring not to financial gain but to opportunities for a decent education. Another scholarship followed, allowing him to spend a year at the University of Kent in southern England, where he earned a master's degree in law. Returning to Kenya, he became a barrister in the capital, Nairobi, specialising in human rights. One of his most memorable cases was the Federation of Women Lawyers versus the president of Kenya, he says. "We challenged the president's decision to appoint fewer female judges to Kenya's Supreme Court. That case eventually led to an increase in the number of women judges in Kenya. That's important for a country where women are gravely marginalised." Click here to read the full article. Erick is completing his doctorate in the Faculty of Law on the regulation of marine fisheries in Kenya under the supervision of Dr Shahla Ali.